Here's a video to make your day. 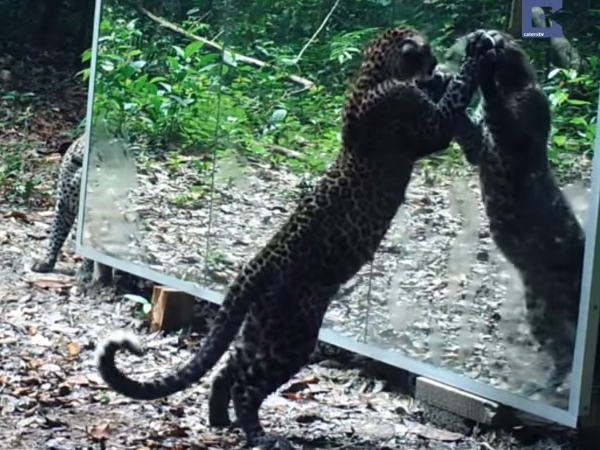 French photographer Xavier Hubert Brierre set up mirrors at several locations in the Gabon jungle in order to capture the animal’s reactions to their own reflections. while animals may very well be familiar with the reflections of their faces they see in water, they seemed quite shocked to be confronted with a life-size version of themselves. Xavier hid the cameras in security boxes and set up motion sensors that would trigger the cameras whenever any animals came close to the mirrors. The results of the ‘social experiment’ are amazing. 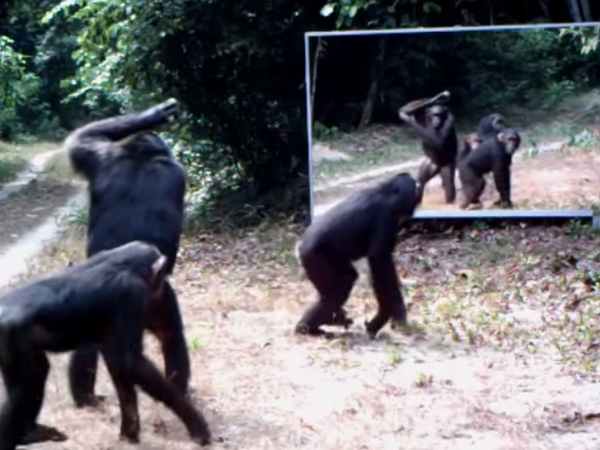 The footage features various different species of animals reacting to their reflections in remarkably different ways. A troupe of monkeys enjoy a good old posing session while an elephant glances at himself quite casually and moves on. 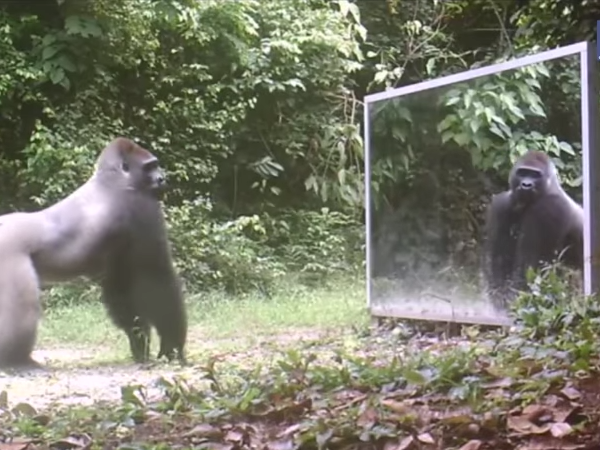 An aggressive silver-back gorilla charges at his mirror image clearly threatened by his formidable ‘opponent’. 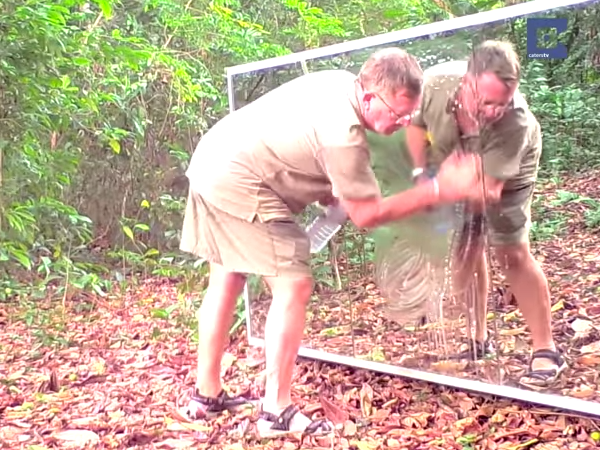 A curious leopard paws desperately at the mirror while another inspects the contraption clearly convinced that they were being duped.